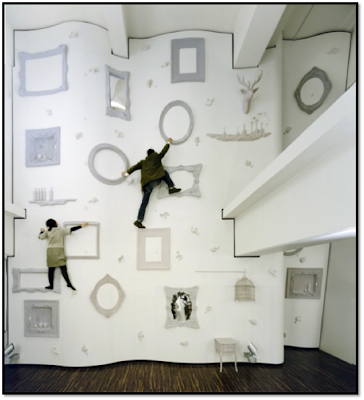 Do Art Museums make you climb the walls? Or are these workers being asked to leave as art museums retrench from the economy? Or a couple looking for meaning in Modern Art? No, it’s a new Fitness Club in Japan, in Omotesando, Tokyo; by Japanese designer Nendo. You are currently browsing the archives for the Nendo category.